This tour starts in Dibrugarh with the arrival of guests at Mohanbari Airport. 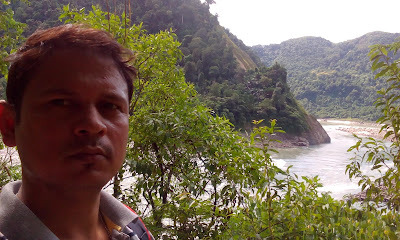 Then they have to ferry across the Brahmaputra in unique ferry boats made of wood and drive through some scenic Assamese countryside before entering Pasighat and Aalo Arunachal Pradesh and : Pasighat is located on the banks of the River Siang also known as the Upper Brahmaputra and Yarlung Tsangpo in Tibet (China). It is the oldest town of Arunachal established after the Anglo- Abor war of 1911. The inhabitants of Pasighat are known as Adi which is one of the major tribes of Arunachal Pradesh. Aalo is the HQ of West Siang district and gained its importance in the 50s when the Govt of India and NEFA (North East Frontier Agency) thought it would more appropriate to make Aalo the HQ of the undivided Siang Districts as it was more centrally located. It’s predominantly inhabited by the Galo tribe. Noe the Siang district is divided into Upper Siang, East Siang, West Siang, ‘Lower Siang and Middle Siang’ (both these districts are yet to be fully formed. This tour explores the areas in East and West Siang districts in Arunachal Pradesh. The program starts from Dibrugarh passing the township of Pasighat and all the way to Aalo and beyond. 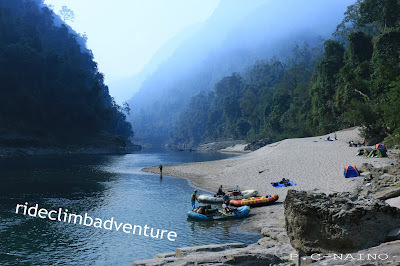 We travel from the Siang valley to the Siyom valley by mountain bikes only to return using the waterways of Siyom and Siang Rivers in inflatable kayaks till we take on the mountain and forest trails to finish our journey in Pasighat. En route we visit and see the Adi Minyong tribe, Galo tribe (a very friendly and vibrant people) and also have a brush with the Boris of Tumbin.